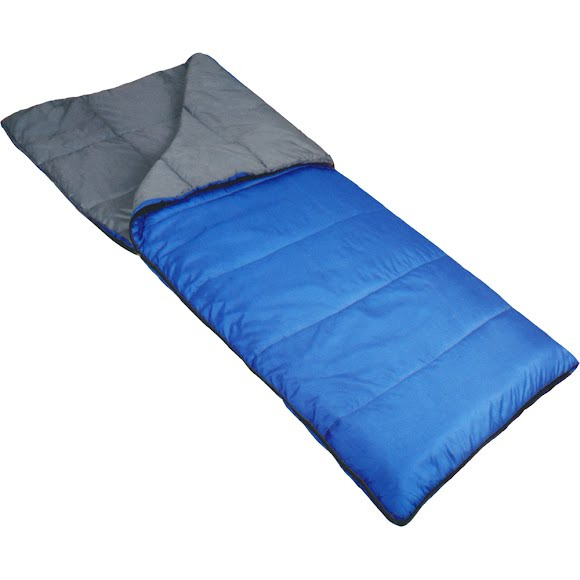 Sleep warm on cool evenings with the Hiker 30 degree sleeping bag. The rectangular construction permits ultimate freedom of motion, and a full 2 lbs of MicroTekk™ .7 denier insulation will not lose insulating efficiency if it gets wet. A Diamond Rip-Stop outer shell provides a durable, attractive exterior, and polyester taffeta lining that's soft and comfy. Sleep warm on cool evenings with the Hiker 30 degree sleeping bag. The rectangular construction permits ultimate freedom of motion, and a full 2 lbs of MicroTekk™ .7 denier insulation will not lose insulating efficiency if it gets wet. A Diamond Rip-Stop outer shell provides a durable, attractive exterior, and polyester taffeta lining that&apos;s soft and comfy.